Schürrle refuses to be another Marin. 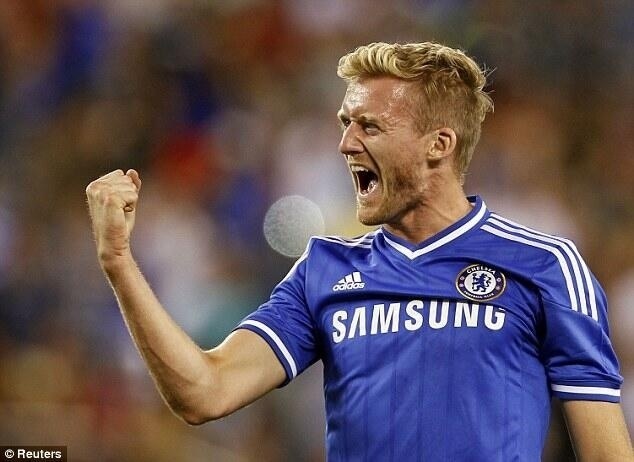 Andre Schürrle has said that he doesnt fear facing the same fate as Marko Marin did since joining Chelsea last summer. Schürrle will have to fight hard in order to get a starting spot, facing competition mostly from Hazard, Oscar and Kevin deBruyne. Let us know what you think about what Schurrle said and if he would be able to get a starting spot or not in your replies below. He would have to take his chances if not he can look forward to being a benxlch wamer! Merci, Babooshka! “Louis” is always happy to see that you have vietisd.Readers, Babooshka writes the Ramsey (Isle of Man) Daily Photo. “Louis” has the link in the right sidebar.